Ten years ago, the iPhone was introduced to the world. In this short decade, mobile behavior skyrocketed, becoming an essential part of our daily lives. In just seven years, the average adult user’s digital media consumption on mobile devices jumped from 18 minutes per day in 2008 to nearly 3 hours in 2015. Before the iPhone, most people’s digital interaction came from browsing the Internet on a desktop. 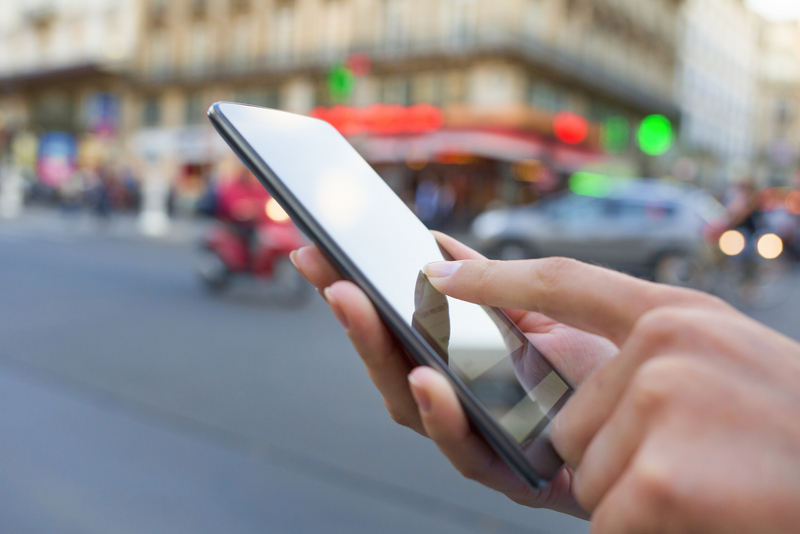 How has mobile behavior increased so rapidly? The three main drivers that powered this rapid increase in mobile behavior are instant access, real-time apps, and location-based services. Understanding these factors is imperative to better tailor messages and effectively connect with target audiences. Mobile users have instant access to information, as well as instant access to other users through their mobile devices. The ability to connect instantaneously, whether with your grandma via Facetime or with CNN through your mobile app, has become commonplace. The expectation that one is able to connect with any entity, at any time, continues to be one of the reasons why mobile behavior is constantly increasing among all age groups. If you were to review the last few Google searches on your mobile device, what would you find? When I look at my phone, I’ve recently searched movie times, the price of a sweater, and the daily news. All of this information is available on a desktop; however, it is instantly available in my pocket on my mobile device. There is no reason to waste time searching on a desktop when it is already at my fingertips. Having unlimited access to information has changed the perspective of time. People want information to be easily accessible, and they want it now. Our culture has formed an obsession with executing tasks with the highest efficiency. Instant access to information drives mobile behavior, and brands need to take this into consideration when engaging their intended audience. Think about why mobile users get annoyed or frustrated when the internet takes longer than two minutes to load. In reality, two minutes is not a long time. However, when you are accustomed to your mobile device processing in real-time, two minutes feel like a lifetime. Real-time processing has become customary in the mobile world. There are currently two different mobile app categories: static apps and real-time apps. Static apps are single-user experiences where the content only changes when the user prompts it to refresh. New information comes in only when the user asks for it. Real-time apps are much more captivating than static apps because the content changes instantaneously. For example, while working with group members on a Google Doc, each person can see the edits other collaborators are making in real-time. To compare, if Google Doc was a static app, the changes would not be visible until the page was physically refreshed. If a brand was deciding to build a more expensive real-time app versus a cheaper static app, it is worth investing more in a real-time app. Real-time apps create more desirable and engaging experiences for mobile users and help brands to form stronger connections with their audience. Users access location-based services (LBS) by using real-time geographical data from a mobile device or smartphone. Based on their locations, users can engage in social media, brand promotion, and GPS services. For instance, some restaurants, small business, and stores will prompt customers to “check-in,” to share their location on social media. This not only engages the customer’s social following but also provides brand awareness for the company or service. Sometimes these businesses offer promotions for consumers that do “check-in” through social media. Additionally, while using a device’s GPS location, users can easily find the closest retail locations. No matter where you are, Siri can direct you to the closest Starbucks. Location-based services make it simple and easy for people to use their GPS to travel. The GPS also works in real-time with the user’s location to give frequent weather and traffic reports. These positive mobile experiences from location-based services lead to an increased dependency on mobile devices, thus in mobile behavior. Mobile behavior is definitely not decreasing any time in the near future. The average mobile user touches their phone 2,617 times a day. That number increases to 5,427 times a day if that user is categorized as one of the most active smartphone users. Due to instant access of information, real-time apps, and location-based services, you can bet that mobile behavior is only going to grow while these features improve. Knowing how to interpret mobile behavior allows brands to use it to their advantage. The more a brand understands about its audience’s behaviors, the better the brand can connect with them by using these factors in their digital strategies.